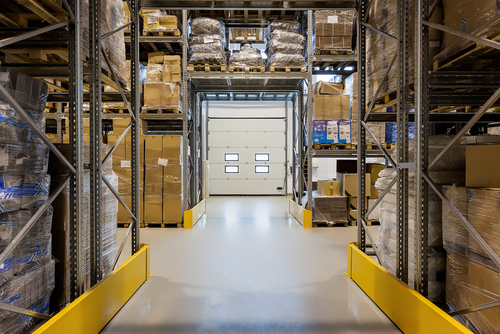 The loading dock is the hub of activity in any warehouse. As with any center of activity, there is a higher chance that an accident will occur. Decreasing the chances of a mishap is easy by implementing safety procedures. On a daily basis, your warehouse employees will be importing and exporting several boxes of goods. Heavy machinery is used and time is of the essence. When there are not any guidelines to follow, employees are hurt and productivity is lost. If you are at a loss at how to prevent this from occurring, we have provided some tips. While it is important to keep your dock clear of unnecessary items, it is also important to maintain the structural integrity of your deck. Inspect the dock at least once a quarter and make repairs as you need to. Docks with weak or missing concrete can pose a big threat to those who work on it. When you have too many hands in the pot, so to speak, it can lead to accidents. When too many people try to help, it can lead to serious bodily injury. Establish a rule that only those who are vital to the loading and unloading are at the dock during the delivery. Install lighting both inside and outside of the dock to provide enough lighting for your employees to safely navigate around the area. Falls tend to increase when employees work in dim lighting. Especially in areas where they have to walk around various boxes and items. Plus the lighting acts as an extra safety feature that deters burglars from entering the premises. Make sure that you always have your dock inspected, especially your doors. A fully-functioning door will prevent accidents from occurring due to a faulty door. At Western Door and Gate, we install doors as well as providing emergency response services for those moments when your door needs maintenance. For more information about our services, please contact us by calling 702.839.3600.